Are you looking for a way to serve the community with your unique skills and abilities? This is where you can find your place to volunteer and get connected with local non-profits to meet needs in our community. Southern Chester County has so many amazing organizations committed to serving its needs, which are diverse and multi-faceted. As a backbone network, we aim to help create connection, build a network and fill in volunteer gaps. The organizations listed below are those that we have met with-and we will continue to add to this list! You’ll find information about the organizations, links and specific volunteer needs. We hope that by sharing this info, you can find the best place for you to volunteer. Use this page to learn more about numerous amazing organizations (arranged alphabetically) and consider how you can do your part with one or many of them! The Carter Center focuses on the community of East Linden Street in Kennett Square. They work to build a neighborhood that is affordable with a high quality of life. They do this by providing after school and summer programs to the children of East Linden Street as well as providing food support to children. They also aim to create a sense of community through several large events like an annual backpack drive. Carter Center collaborates with local churches to provide these services. They have put a face and a voice to the community as they work to revitalize this historic area of Kennett Square. 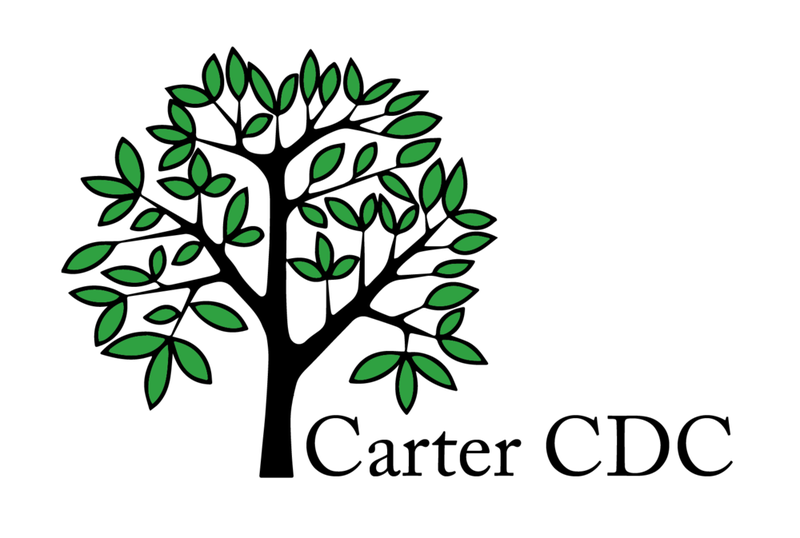 To learn more about the Carter Center please visit their website by clicking here! CASA Youth Advocates supports abused and neglected children in the welfare system by providing each child in their program a sense of hope and security in knowing that they have a caring and reliable adult/advocate in their life to help them make decisions for their long term needs. CASA has had a long history of supporting children and providing adult advocates (all volunteer positions) in Delaware County. They have recently expanded their services to Chester County with the goal to reach the over 200 children in the Chester County foster care system. Join CASA in providing hope and security for our county’s most vulnerable children-visit their website by clicking here. Chester County Women’s Services works to empower and educate pregnant woman with the information needed to make an informed choice about their prenatal care. They provide support and educational classes throughout pregnancy. For more information and volunteer opportunities, please click here. Family Promise of Southern Chester County is organized to help children and their families experiencing homelessness achieve lasting self-sufficiency and stability by providing shelter, meals, and comprehensive support services through a network of congregations and volunteers until they find sustainable housing. For more infomation about Family Promise, please click here. The goal/purpose of The Garage is to empower youth to reach their potential. They do this through after school homework help, use a computer, play a game of pool, or meet new friends. With locations in Kennett Square and West Grove they are expanding their abilities to reach more youth in Southern Chester County. There are plenty of volunteer opportunities at The Garage-to learn more, click here! The mission/vision of Good Neighbors is to provide warmer, safer, drier and healthier homes for qualified homeowners, while they strive to eliminate substandard housing in Southern Chester County and surrounding areas as an expression of their faith in Jesus Christ. Put your talents to good use with Good Neighbors please click here to complete a Volunteer Skills Questionnaire. This will best match you with appropriate volunteer opportunities. If you’re interested in more information about Good Neighbors, please click here and a Good Neighbors representative will be in touch with you! Kennett Area Community Service (KACS) is a community organization in Kennett Square committed to serving families and all individuals in the fight against hunger and homelessness in the Kennett area and surrounding communities. We are responsible stewards of the community, helping members of the greater Kennett community to lift themselves in a dignified manner out of the cycle of poverty. To learn more about KACS and volunteer/donation opportunities, please click here. Kennett Area Senior Center provides seniors with a community space to engage with each other, and share meals. The Senior Center offers a variety of workshops on issues that affect their seniors as well as services to promote physical and emotional wellness. They also work to provide much needed assistance to seniors as they so through the many transitions that come with aging. The Senior Center collaborates with many other community groups to provide rides, discounts on fitness classes, food support and housing maintenance/repair for seniors. To learn more or to volunteer, please call 610-444-4819 or visit there website by clicking here! LCH has offices in Kennett Square and Oxford. They provide quality healthcare and accept most insurances. However no one is turned away due to an inability to pay. Beyond healthcare, prenatal care and dental care LCH provides adult education courses (ESL and citizenship classes) and help with connecting patients to other social services in SCC. LCH can always use financial donations to help purchase textbooks for their free ESL courses. To learn more about LCH and to hear other ways you can help, please click here. The Lighthouse Youth Center is a para-church organization that reaches youth ages 9-18 with the message of the Good News of Jesus Christ. They strive to have a positive Christian impact in each person’s life. The Lighthouse can always use volunteers! If you’re interested in volunteering, please click here. Oxford Neighborhood Services assists 384 households (approximately 1200 individuals) with food assistance. These clients range from single youth, families and the elderly. In addition to food assistance they work as case workers to help those in need in the Oxford community connect to the right agencies for their specific needs whether it is for emergency housing, mental health needs and drug/alcohol abuse issues. For more information about Oxford Neighborhood Services or to volunteer, please call 610-932-8557. SILO is a welcoming and diverse group of friends who come together to Serve, Inspire, and Love Others in our community with a specific focus on the town of Oxford. They are a grassroots organization and the services they provide are shared primarily through word of mouth. SILO aims to serve, love and inspire by providing a monthly community meal, and helping with transportation needs, home repair and legal assistance. They specifically focus on the homeless or housing insecure population in Oxford and surrounding areas. For more information and to see how you can help with this organization, please contact Andrea at 484-250-1428. Tick Tock Early Learning Center assists underserved working families primarily in Southern Chester County by providing high quality, reliable educational child care at rates families can afford. They prepare preschool students to be successful by teaching basic skills with an emphasis on school readiness in an English language immersion program and a loving and nurturing environment. Tick Tock can always use skilled and unskilled volunteers for their many programs, so don’t hesitate to reach out to volunteer! Click here for more information. Together for Education strengthens the partnership among educators, students, parents and the community in the Kennett Consolidated School District to help children reach their greatest potential. They connect volunteers and mentors to teachers and students, and foster a network of organizations supporting the Kennett Consolidated School District. To volunteer with Together for Education, please click here! YoungMoms empowers teen moms to reach their potential as women and mothers by providing a comprehensive program of case management services, one-to-one mentoring, life skills training and community building activities. YoungMoms works with each participant to develop academic, employment, parenting and relational goals, and to create a plan to achieve them. Recently, YoungMoms introduced YoungDads, a program offering life skills training and mentoring to the partners of our young moms. YoungMoms is always looking for community members who are willing to invest their time and talents into these teen moms, dads and their children. Opportunities include: mentoring, providing transportation and childcare on meeting nights, administrative and fundraising support. To learn more about YoungMoms and volunteer opportunities, please email info@youngmomscommunity.com.